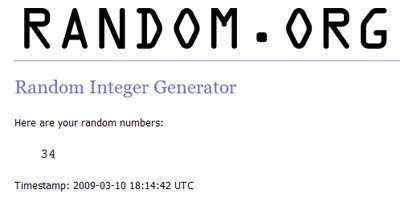 Announcing more winners! 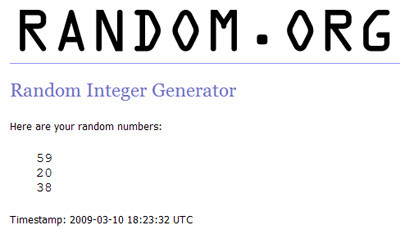 Congrats the the following individuals who won a giveaway during the past couple weeks. 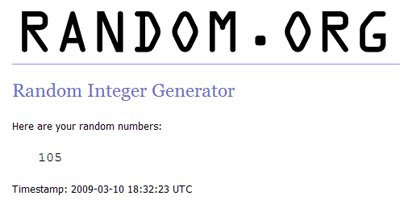 Winners were chosen using random.org (click on the images to view the draw and timestamp). All have been notified by email and have 72 hours to contact me before another winner is chosen. Thanks so much for all the comments. 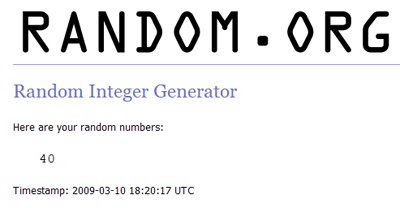 More comments = more giveaways! 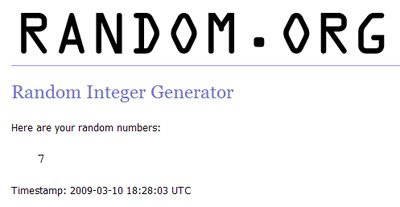 The winner is Anonymous(jewel51) with comment #34.